Pack a beach bag with a towel, sunscreen, a hat, sunglasses and a change of clothes. Try to consolidate drinks and food into as few coolers as possible. Don’t pack too much food, most people don’t eat much while fishing and light snacks and sandwiches are usually best. You are welcome to bring something to cook on the Big Green Egg (burgers, hot dogs etc). Bring plenty to drink! Water and sports drinks are best but you can bring anything you like. No Glass Bottles Please! We will clean and bag your catch so be sure to have a cooler to bring them home in. Ice is available at the marina. What can I do to keep from getting sea sick? Seasickness can happen to anyone but there are a few things you can do before and during your time on the boat that may lessen your chance of getting sea sick. Avoid eating a heavy breakfast before boarding the boat and go with a smaller bland choice. Don’t “party” too hard the night before and try to get a good night’s rest. If you are prone to motion sickness, over the counter medications like Dramamine can help if taken the night before and during the trip. There is also a “patch” that can be prescribed by your doctor. Keeping your eyes on the horizon will lessen your chance of becoming sea sick while on the boat. If you go in the cabin, be sure you can see outside and keep an eye on the horizon. If you start feeling queasy on the boat, breathe through your mouth and go to the back, center of the boat. This is where the motion is the least and breathing through your mouth helps keep the smells of exhaust and bait down. If you get sick, be sure to stay hydrated. Many old timers say “sea sickness is all in your head” so don’t think about it and enjoy your fishing trip and you should be fine. 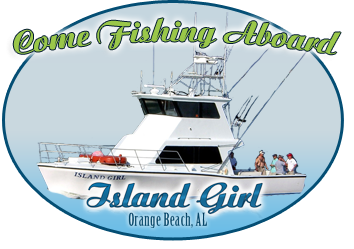 Weather is always a concern and we want your fishing trip to be safe and enjoyable. If the weather turns out to be too bad to go fishing, we will reschedule your trip if possible. If your trip is unable to be rescheduled, we will offer you a full refund of any deposits. Our boat is fully stocked with several different classes of fishing tackle to handle any of the fishing types we offer. If you have a special fishing rod or lure that you wish to bring, bring it! As long as it’s appropriate for the type of fishing we will be doing, you are welcome to use it.